Small and medium enterprises are as much at risk as large enterprises from the targeted attacks of today. They need to protect their networks effectively from external and internal threats without a large security budget. Cyberoam CR50i, CR50ia, CR100i, CR100ia, CR200i, CR250i and CR300i are powerful identity-based unified threat management appliances, delivering comprehensive protection to small and medium enterprises (SMEs) with limited investment in financial and technical resources. Cyberoam gateway security appliance offers protection from blended threats that include virus, spam, malware, phishing, pharming. 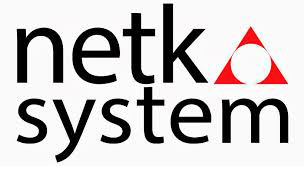 Its unique identity-based security based on Layer 8 technology protects enterprises from internal threats that lead to data theft and loss by giving complete visibility into and control over internal users. 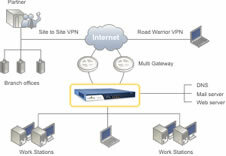 These gateway security appliances deliver the complete set of robust security features, including Stateful Inspection Firewall, VPN (SSL VPN & IPSec), gateway Anti-virus and Anti-spyware, gateway Anti-Spam, Intrusion Prevention System, Content & Application Filtering, Bandwidth Management and Multiple Link Management over a single security appliance. Cyberoam security appliances offer a comprehensive, yet cost-effective and easy-to-manage solution that lowers capital and operating expenses in addition to lower technical resource requirement. Regulatory Compliance Through user identification and access control policies for information security, Cyberoam gateway security appliance enables enterprises to meet regulatory compliance requirements like HIPAA, GLBA, PCI-DSS, SOX, CIPA and more. Further, it helps shorten audit and reporting cycles through instant visibility into “Who is accessing What” in the enterprise network. Centralized Security Organizations can deploy centralized security with complete control over globally distributed networks through the Cyberoam Central Console, enjoying zero-hour protection at branch offices against emerging network attacks despite the lack of technical resources at these locations. Cyberoam Aggregated Reporting and Logging offers a central view of remote network activity by the username, enabling them to take rapid action.